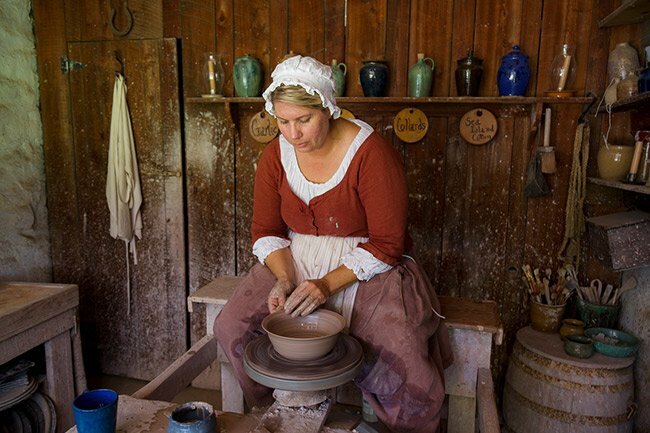 The Middleton Place House Museum, seen below, was built in 1755 as a gentleman’s quarters. Also known as the south wing, it originally flanked the main house, which was built around 1705, along with an identical building called the north wing, which served as the library and conservatory. These structures were burned by Union troops in 1865, leaving the south wing seen here as the only inhabitable building following the Civil War. The exterior walls were all that remained of the other buildings. The south wing, or flanker, became the primary residence after the war until a new central house could be built. However, construction on a new house never commenced. 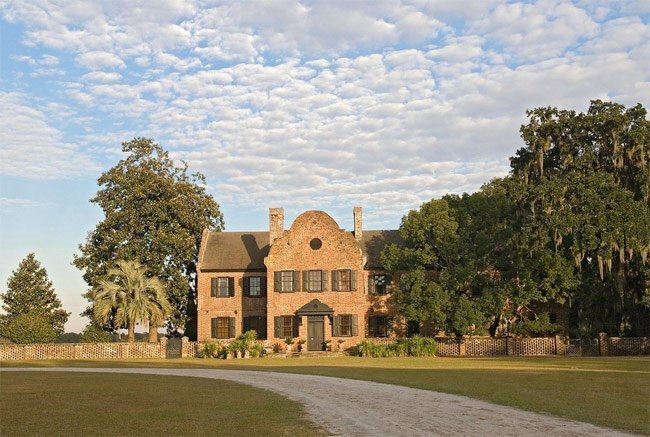 Though this estate is associated with the Middleton family, the main house, which was built facing the Ashley River, is attributed to John Williams. His daughter, Mary, married Henry Middleton in 1741, and this property was given to him as her dowry. Middleton owned twenty other plantations along with fifty thousand acres of land and around 800 slaves. 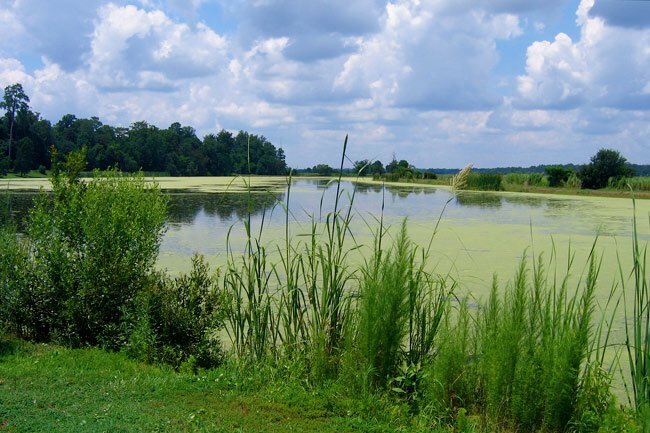 The property’s location along the river made it ideal for growing rice, in particular Carolina Gold rice, which made many Lowcountry planters quite wealthy. However, when this property was established as a country estate, rice was cultivated only for those who lived and worked here. The crop was not grown here commercially until many years later under the ownership of Williams Middleton. The fertile land was hospitable for growing exotic gardens as well. 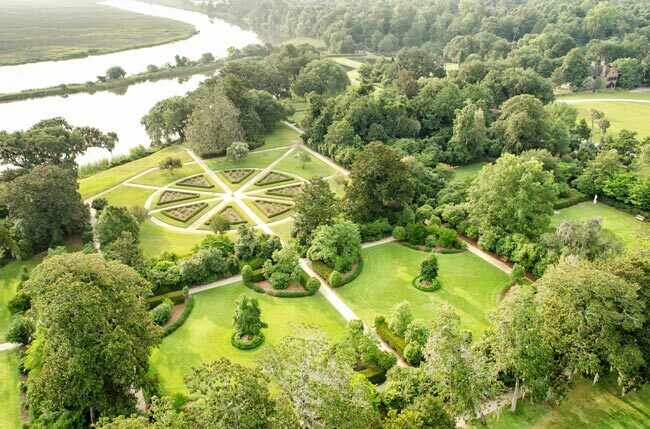 Henry Middleton began installing his storied French formal gardens in 1741. 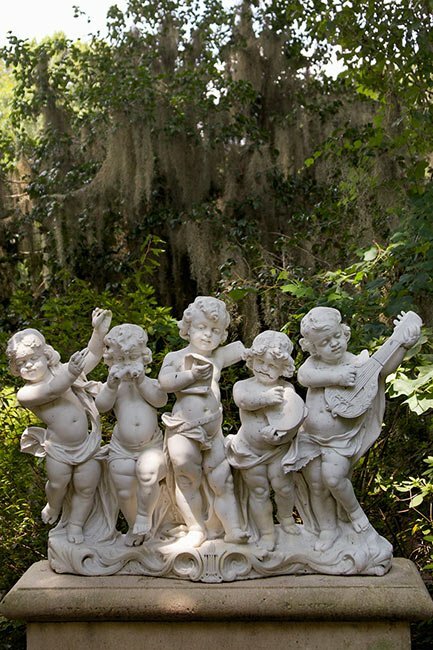 They were modeled after the gardens designed for the Palace at Versailles and continue to feature outdoor “rooms” of sculpture as well reflecting pools, or “canals.” The gardens at Middleton Place are the oldest landscaped gardens in America. The Middletons were not only wealthy land owners, but also politically influential. Henry Middleton served as a representative of South Carolina to the first Continental Congress of 1774 and was elected its second president. 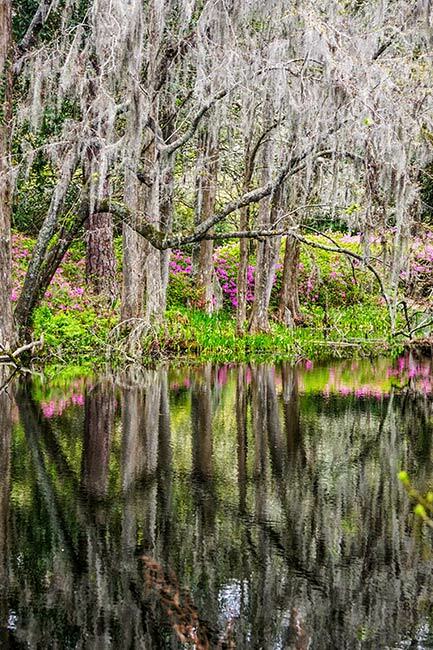 Following the death of his wife, Mary, in 1761, Henry retired to his birthplace, The Oaks plantation in Goose Creek. His son, Arthur Middleton, then acquired Middleton Place in 1763. Arthur Middleton resided at Middleton Place after completing his education in England. He married Mary Izard in 1764, and the two briefly lived here before relocating to England from 1768 until 1770. It was during this time that their first child, Henry, was born. Like his father, Arthur was greatly motivated by politics. Once he returned to Middleton Place, he was affiliated with groups such as Charleston‘s Sons of Liberty. In 1776 he succeeded his father as president of the Continental Congress and subsequently signed the Declaration of Independence. Arthur Middleton served in the Revolutionary War and was captured by the British during the 1780 Siege of Charleston. He was held in St. Augustine, Florida, as a prisoner of war until his exchange in July of 1781. He died on January 1, 1787, leaving the estate to his eldest son, Henry. Arthur Middleton’s tomb is located within the gardens. The second Henry Middleton continued in his family’s history of political leadership. Not only did he serve as governor of South Carolina from 1810 through 1812, he was also elected to the United States Congress in 1815 and served until 1819. He was named diplomat to Russia from 1820 until 1830. A horticulturalist like his grandfather and namesake, he was great friends with the French botanist Andre Michaux. 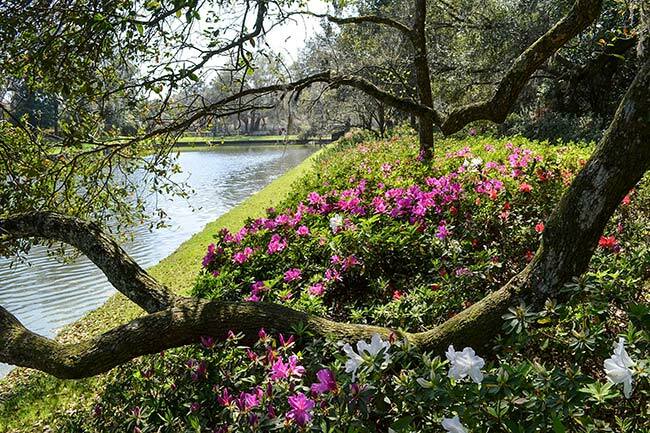 The celebrated gardens of Middleton Place are the site of the first camellias grown in the country, brought here by Michaux in 1786. One of Michaux’s plants, the Reine-des-Fleur, still grows here. 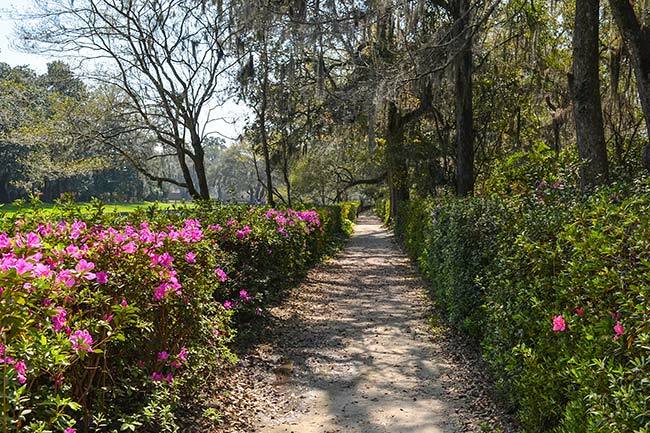 Michaux is responsible for introducing other non-native species to the Lowcountry such as crape myrtles and mimosa trees. Following the death of Henry Middleton in 1846, the estate was inherited by Henry’s son, Williams. Williams Middleton was more interested in agriculture than politics and focused on cultivating rice at Middleton Place. He is responsible for adding the rice mill in 1851 to aid in production. Prior to this time-saving addition to the processing of rice, slaves manually performed the laborious tasks of preparing the product for shipment. Williams also built the slave chapel in 1850 above the existing spring house, which was built in the eighteenth century. The building was positioned over a cool spring and refrigerated dairy products on the estate; meats were cured. A signer of the Ordinance of Secession, Williams Middleton restored and moved into the gentleman’s quarters following the burning of the main house. Amazingly, the structure also survived the Great Earthquake of 1886, despite the event’s epicenter originating close to – some say even on – the property. The brick walls of the main house and north wing that precariously stood following the Civil War were brought to rubble during the disaster. The steps of the main house along with its ruins and the ruins of the north wing remain. 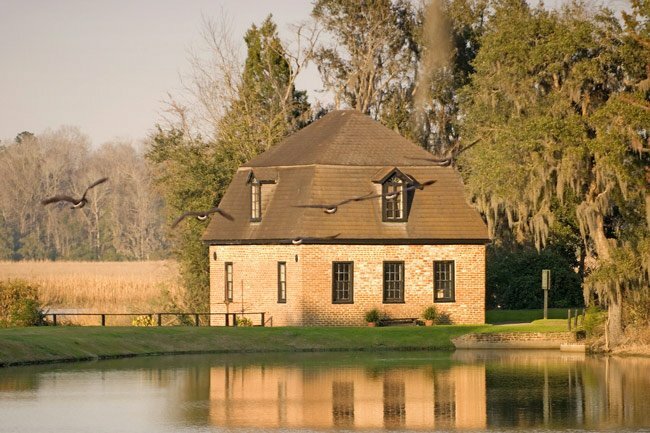 Middleton Place fell into the ownership of Williams Middleton’s daughter, Elizabeth (Lilly), following his death in 1883. 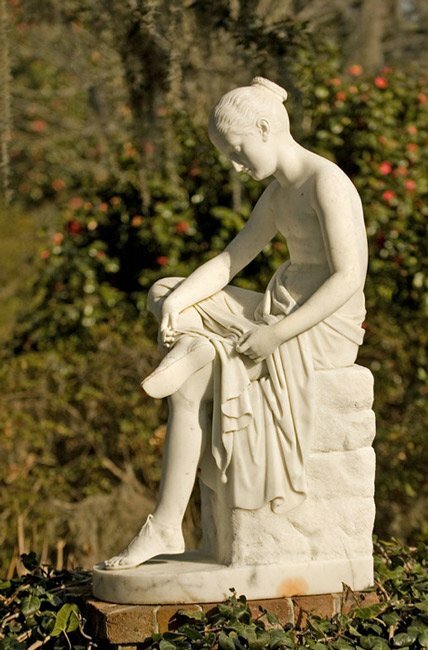 Upon her death, Lilly left the estate to her cousin, J.J. Pringle Smith. Smith and his wife, Heningham, restored the property in the 1920s and opened the gardens to the public. During this time they resided in the south wing. 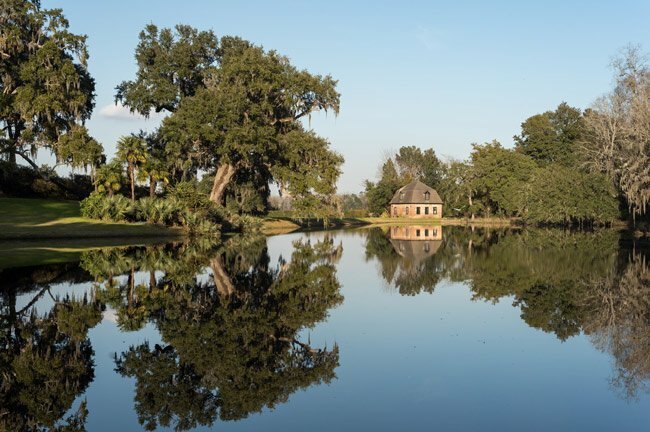 In the 1960s Middleton Place was left to the Smiths’ grandson, Charles Duell. 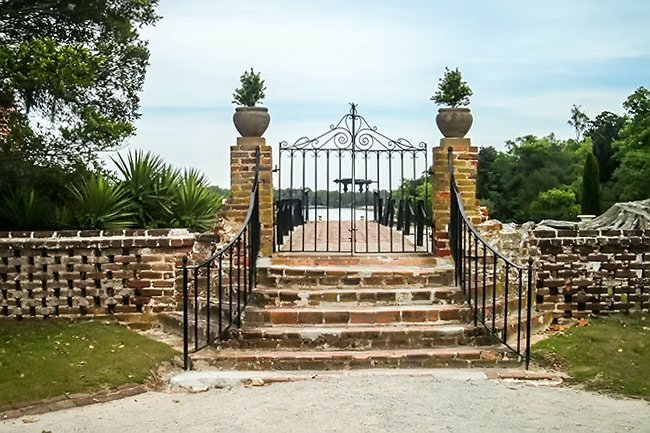 Duell established the Middleton Place Foundation in 1974 to ensure the protection of the property, which was designated a National Historic Landmark in 1972. Duell remains president of the foundation and is also responsible for hosting periodic reunions of Middleton descendants as well as descendants of Middleton slaves, many of whom took the Middleton name following Emancipation. 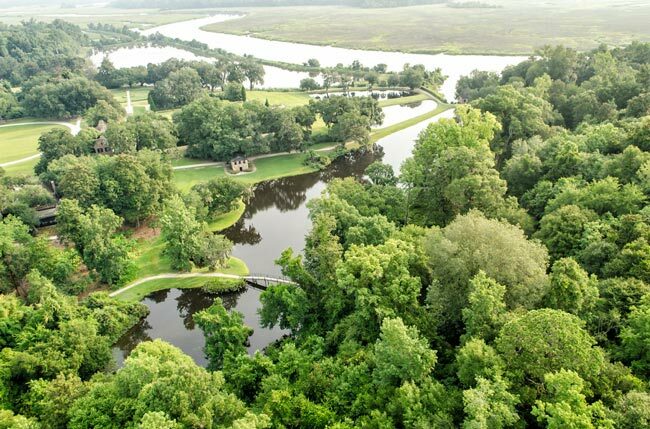 (Arthur Middleton Birthplace) Middleton Place was the birthplace and home of Arthur Middleton, from 1742 to 1787, a signer of the Declaration of Independence for South Carolina, planter, politician and soldier. The south wing, ca. 1755, of the original plantation house still stands and Arthur Middleton is buried in the family cemetery near the residence. This wing is a fine example of the adapted English Country Tudor style with strong Dutch influences. 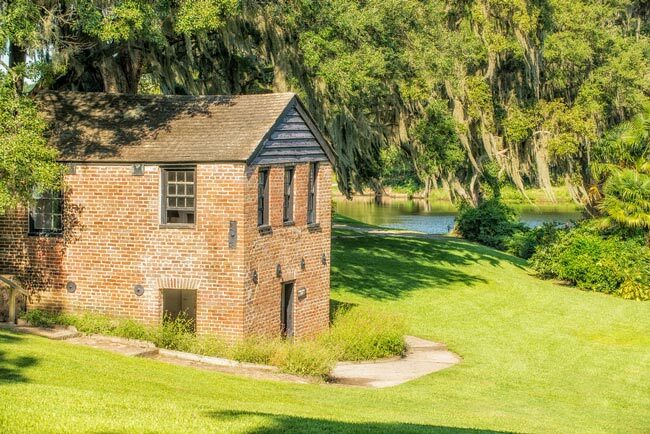 The three-and-one-half story brick five-bay wide central block of Middleton Place Plantation house was built about 1738. In 1755 the mansion was enlarged by the addition of two two-story flankers north and south of the central block. The north flanker served as a library and conservatory and the south building as a gentleman’s guest wing. In 1781, the terms of British surrender and withdrawal from the American Revolution were accepted at Middleton Place. In 1865 Union troops burned the mansion and its wings, leaving only the brick walls standing. In 1868 William Middleton put a roof over the south flanker, which was the least damaged of the three structures, and utilized it as the plantation house. In 1886 a great earthquake felled the ruined walls of the central block and the north flanker. 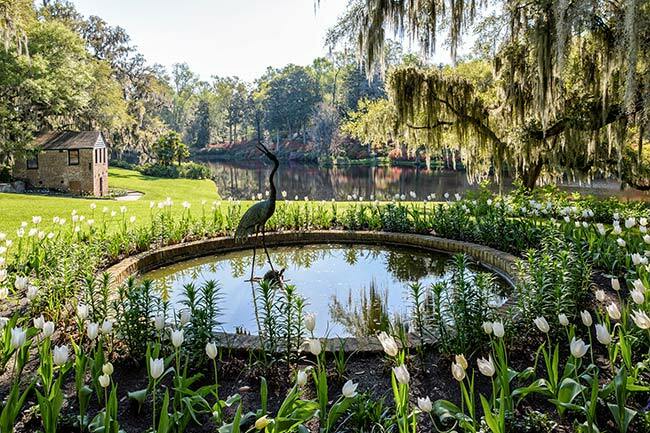 The gardens at Middleton Place are the nation’s oldest extant landscaped gardens and rank among the largest and most important in the world. They contain America’s oldest and largest camellias, planted about 1785. 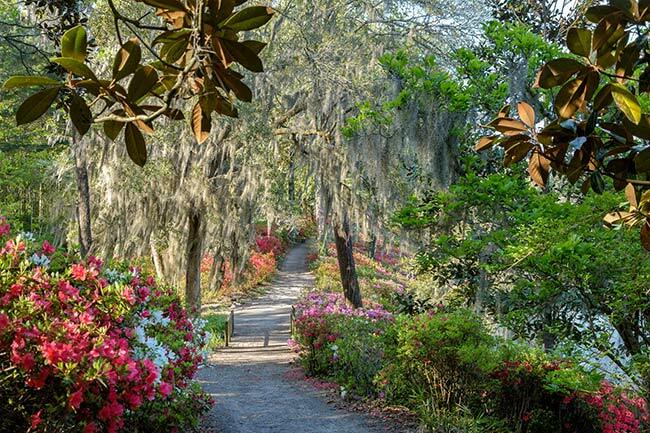 Beginning in 1916, under the supervision of Mr. J.J. Pringle Smith, the gardens were restored to their former beauty over a period of several decades. In the 1930s the house was enlarged by the addition of a two-story brick service wing to the south end. Built on the main axis, this addition is constructed in the eighteenth century style. 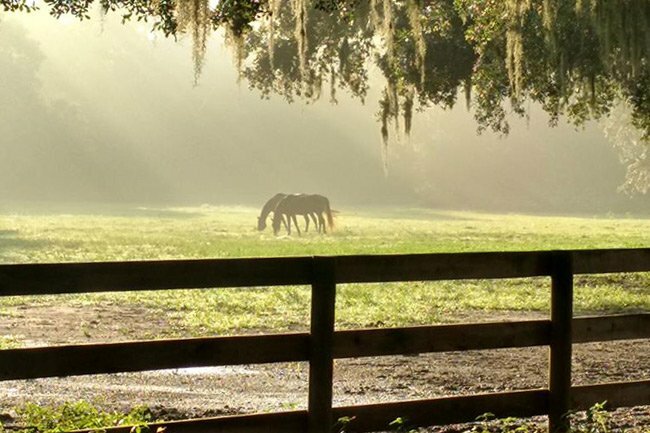 Located on the grounds of the Inn at Middleton Place, adjacent to the main plantation, the Middlleton Equestrian Center is a renowned equine facility. The stable yard area can be rented for events and are popular as they offer special plantation access. Riding lessons, trail rides and boarding are also available at the center. While slavery was not good, they built our country. Many slaves fought alongside their masters on the Confederate side. They built the White House. Slaves took their last names from their former owner when they were emancipated. Don’t believe all the horror stories. The War Between the States was fought over States Rights and not slavery. There was nothing Civil about it! It’s really crazy that the name of this property hasn’t been changed. I hide the fact that my name is Middleton because that name has been exalted for something that was created by slaves. I could have gone my whole life without knowing my relations were a major part of the most horrible thing that ever happened in our state and in our country. Give that place to the honor of those who put in the sweat to build and maintain it. God knows they deserve it and how much good doing so would do for the universe. It’s bad for everyone, black, white. It’s pathetic watching the last generation try to explain why sharing a name with a plantation makes you better than everyone else, and it’s really tragic how so many buy right into it. That site is America’s Greatest Gardens Created by African Slaves. I can’t imagine why anyone would protest that. To the decedents of American slavery: Slavery was a vile institution and was practiced throughout the world by every race and still exists today. One tribe enslaves another one country enslaves another. This was practiced by Germany during the 2nd World War and still exists today in many different forms. The worlds history of enslaving is not an excuse for accepting this vile institution by the American colonies; they were a people of their times, and it was a major cause of the bloodiest war this country ever had. Middleton Place is indeed a popular venue spot. For more information, go to the website above the map. Good luck! Does this area allow small events or receptions? If so, what are the price ranges? It breaks my heart so see these plantation houses in South Carolina. I was born in South Carolina. My ancestors were slaves in South Carolina. Justice will NEVER prevail on Earth until the plantation houses and all its property belong to the descendants of slaves. I believe in GOD and I believe the Earth was created for just ends. If this is true, then justice will one day prevail for the slaves and their descendants as well as the slave masters and their descendants. Racism will ONE DAY end and all wrongs will be corrected!. So nice to see the home of my ancestors. I am a direct descendant of Ralph Izard.